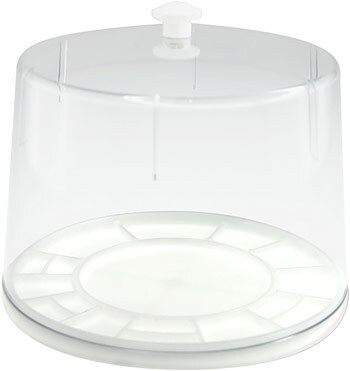 This inexpensive plastic dust cover and tray may look like a cheese tray, but for the watchmaker, it means clean parts. The segmented bottom separates groups of parts. 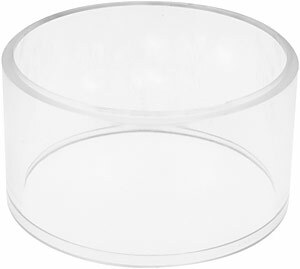 You can also flip the base and use it as a display tray, the lid will fit nicely. 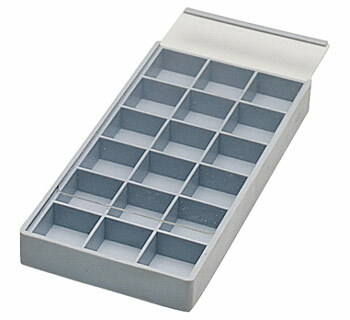 This sturdy, handy tray with cover keeps groups of parts separated and provides a long section for bands, straps, etc. 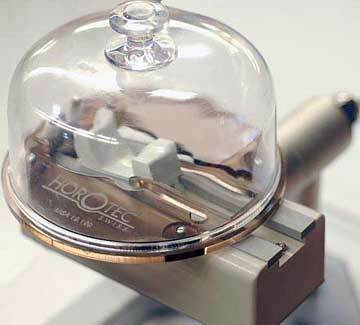 The boxes also stack securely on top of each other for the busy watchmaker. 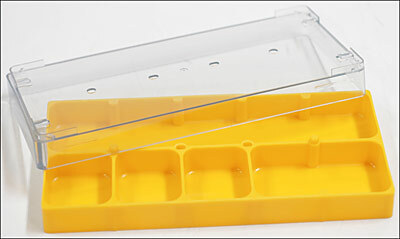 These trays help to logically organize the work and safe a dust free. 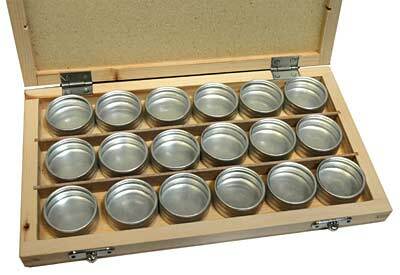 Tray has 6 compartments (5 compartments measuring 49 x 45 x 16 mm and 1 compartment measuring 234 x 42 x 16 mm). 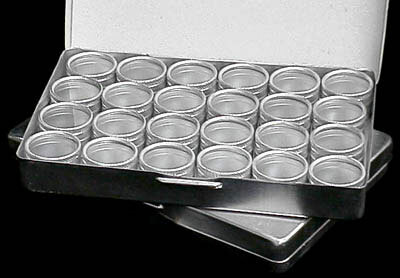 Total dimension of the tray with lid is 245 x 115 x 20 mm. Swiss made. Optional locking plastic knobs are available. 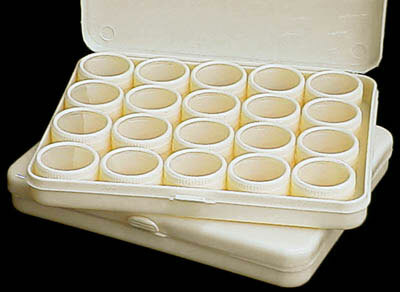 This sturdy, handy tray with cover keeps groups of parts separated and provides a long section for bands, straps, etc. 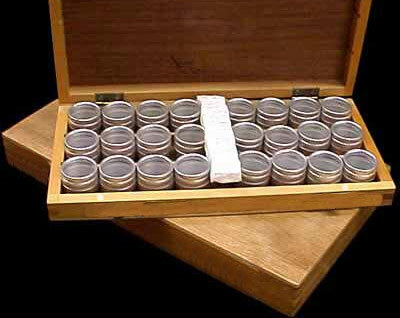 The boxes also stack securely on top of each other for the busy watchmaker. 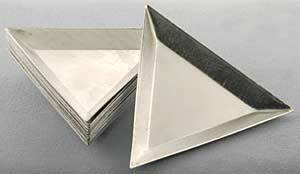 These trays help to logically organize the work and safe a dust free. 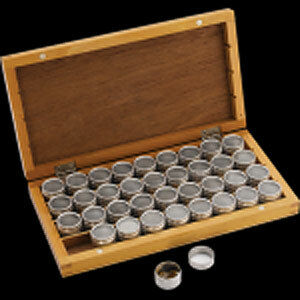 Tray has 5 compartments (3 compartments measuring 49 x 56 x 24 mm, 1 compartment measuring 101 x 56 x 24 mm, and 255 x 56 x 24 mm). 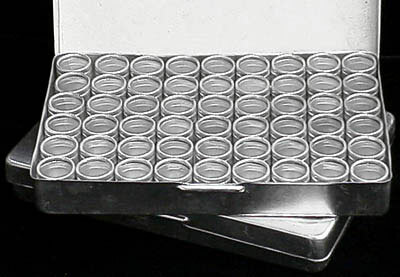 Total dimension of the tray is 259 x 126 x 26 mm. 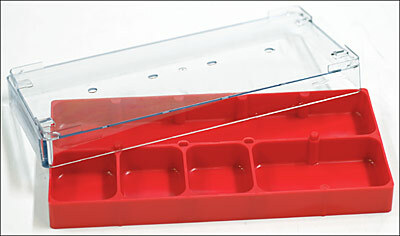 Bergeon Swiss made parts tray features 6 sections to neatly separate and organize your parts during repair. Comes with plastic cover to keep out dust during storage. 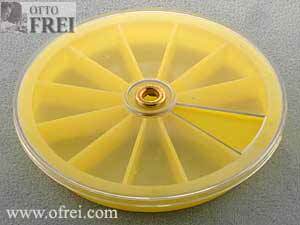 Dimensions: 100 mm (4") diameter tray, 88 mm (3 1/2") inner diameter plastic cover, 45 mm (1 3/4") inner height plastic cover, overall height of the parts tray and cover is 75 mm (3"). Extension cover made especially for the Bergeon 30097-BC parts tray to help a watchmaker save space. 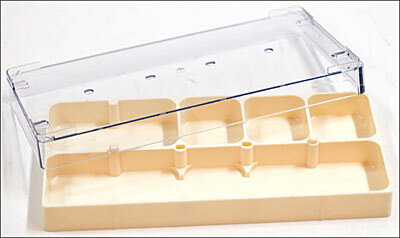 Using the extension cover, the parts tray can stack on top of one another and using the dust cover to cover the top parts tray. 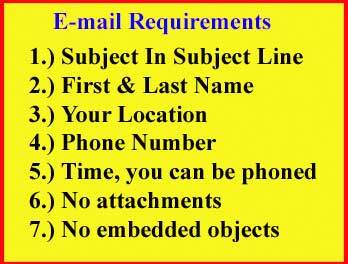 Item will also fit the FB-117. 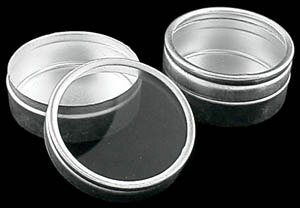 Dimensions: Outside diameter is 94 mm, insider diameter is 86 mm, height is 52 mm. 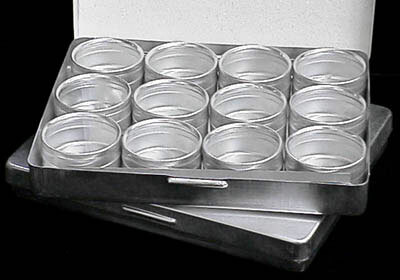 Bergeon Swiss made extra large parts tray features 16 various size sections surrounding a 85 mm diameter center storage to neatly separate and organize your parts during repair. Comes with plastic cover to keep out dust during storage. 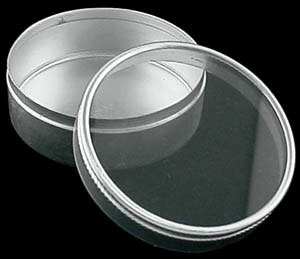 Dimensions: 155 mm (6 1/8" ) diameter tray. Overall height of the parts tray and cover is 107 mm (4 1/4"). 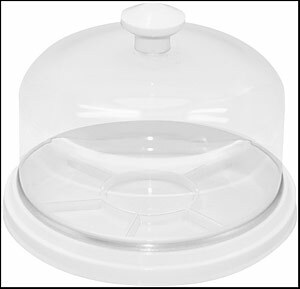 Plastic 3 1/2" inch diameter see-thru sliding lid will not mix or spill the compartments. Twist lid to open one compartment at a time. 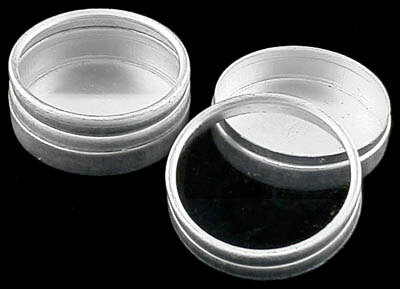 Outside diameter of jar 31.5 mm, outside height is 19 mm. 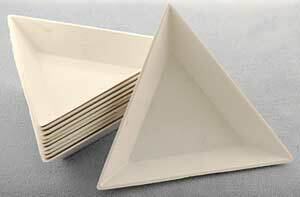 Triangular shape 3" trays are ideal for organizing and counting small parts, stones, and findings. 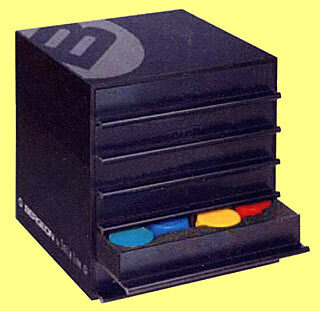 Organize a variety of parts and small objects in up to 18 compartments. 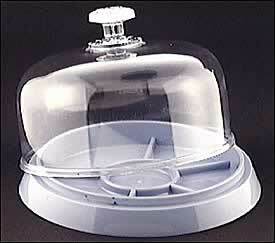 Equipped with a transparent sliding lid for a clean and smooth operation. Measurements: 3 3/4" x 7 1/2" x 3/4".